« Coinstar Using Suspect Methods to Report Redbox Same-Store Sales? Blockbuster is not waiting until its emergence from bankruptcy to attempt to become competitive with other industry players. The company has announced a new tiered pricing format for in-store rentals ranging from 99-cents for catalog titles to $4.99 for brand-new releases. NCR-owned Blockbuster Express kiosk pricing is unaffected. Looking harder at the new BB pricing, it looks like pricing on “just arrived” titles is actually more expensive than before if you account for the reduced rental period, while the older 99-cent catalog titles are definitely cheaper than before. For consumers who keep their rentals for several days, BB catalog rentals are now actually a better deal than Redbox. What do you make of this new tiered pricing scheme? Is it a first step towards improvement for Blockbuster, or is it just a crafty way to increase late fee collection with attractive pricing but reduced rental periods? This development rings very hollow for anyone who observed all of Blockbuster’s retail stores, within a reasonable traveling distance, closed earlier this year. Only $3.99 more than Redbox. What a deal! And just think, while I’m there I can pick up a whole bunch of ‘select’ titles that nobody wants to see for only 99 cents! 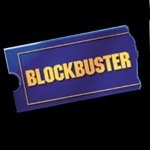 Wow, I wish Blockbuster would pursue another IPO so I could buy me some of that hot hot hot stock! I think I’ll run down and re-open the six blockbusters in my town, because with this ‘new’ price structure, they are sure to be a hit. It cost $4.32, which, after is still about a buck less than any one of those titles would have cost at Blockbuster. Even if he does end up keeping a couple of the movies for another day, it’s only a couple bucks more for “2 movies”. Which in total, is still cheaper than BB’s pricing, since the movies he rented are less than 6 weeks old. I rent new releases not available from Netflix or Redbox from Family Video. I get the 50% off plan for busy months. You have to really want a movie to pay $4.99. Remember even $4.99 is better than paying at the theaters. Let’s hope the dvd rental wars continue. It only benefits the consumer. It just amazes me that BB still does what it can to swim against the tide. Instead of doing the easier things to make people want to rent movies, they shorten rental times, raise prices, and in most cases-on movies that won’t even be rented again any time soon. I have often asked why can’t the BB online movie returns be utilized with the BB on demand download site as an alternative to returning to the store-no answer. Until they make the right decisions, they will be faced with the wrong consequences. This will do NOTHING but confuse folks(Hell, it even confused ME, and I consider myself a tenured video renter!). Now instead of paying $1 a day for a new release(If you kept it for 5 days under the old pricing structure), you’ll be paying over $1.50 a day! BB should’ve priced like Family Video(2 catalog movies for $1 and $2.59 a night for a new release), but they’ve failed once again. I don’t mind paying $1.99 for a new release since i’m a By Mail customer and get an in-store discount, but I would NEVER pay $5 for a 3-day rental. They’ve had tiered pricing here for 5 years now. It’s changed names a few times but I think it’s still called “favorites” or something for the older movies. They charged more for new releases 10 years ago even. Is this a red herring or what? What a joke. They are desperate. BB is going in the wrong direction… are u guys crazy! !i will never pay $5 for a new release movie.. ill wait 28 days til redbox gets it…I HOPE U GO DOWN BB……..
Yeah, I’m going to have to go with the general consensus… Blockbuster has clearly lost touch with the customers and will most likely never recover. $5 for any sort of hard copy rental is just out there. They’re also dealing with years and years of bad feelings from their pricing, policies, etc. so I find it really hard to believe they’ll ever be able to turn things around at this point.